Previous image, 73 total items. Next image, 73 total items. 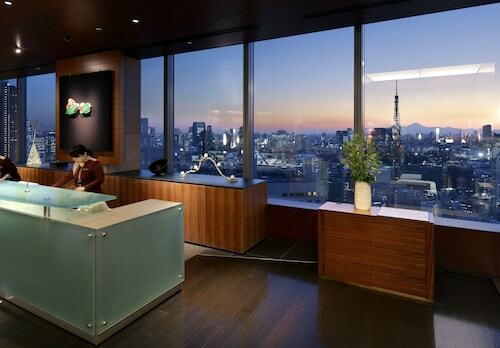 Expedia's Tokyo holiday packages can help you save money! Combining your bookings will give you more cash to splash for your amazing adventure. 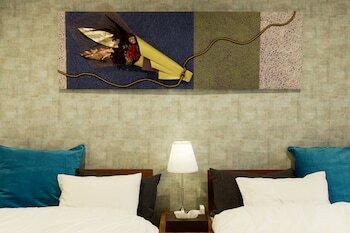 Savvy travellers who secure a package deal on Expedia can save up to 59%*. Our expansive database features more than 400 partner airlines and 321,000 worldwide properties. With such a broad range to choose from, you really can't go wrong! If you decide to change your mind, we will honour your cancellation request on nearly all bookings with no hidden fees. We have all the latest sightseeing tips for your trip to Tokyo. Grab your planner and prepare to start padding out your itinerary. Take it from us, no one ever regrets checking out the Sensoji Temple and Tokyo Imperial Palace. These renowned attractions will take your trip to Tokyo to another level. There's no need to worry about feeling bored in this alluring city. Tsukiji Fish Market and Yasukuni Shrine will be sure to keep you entertained. The Tokyo National Museum and Yoyogi Park are also some interesting sights that are bound to impress. Even on a drizzly day, it's well worth meandering through Ueno Park. Pop up your umbrella and soak up the fresh earthy smell. There's a wonderful range of things to do in this destination. Think of yourself as an art enthusiast? Lay your eyes on some inspiring works and try to interpret the story behind them at Mori Art Museum. Still have time on your hands? Forget your history books! See the past jump to life at Edo-Tokyo Museum. When we think back over our travels, we usually remember experiences rather than the size of our hotel room and its view of the beach. Ready to make some new travel memories? To take a look at a comprehensive list of activities, go to our Tokyo things to do page. Got Tokyo locked in your sights? 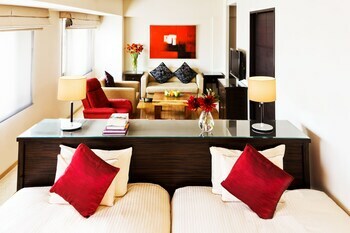 You're heading to the capital of Japan, so rest assured that you'll have a large variety of properties to select from. 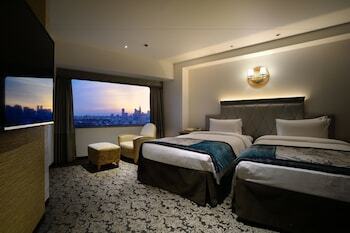 Secure your room today on Expedia to get the best offers on cheap holidays and luxury getaways! 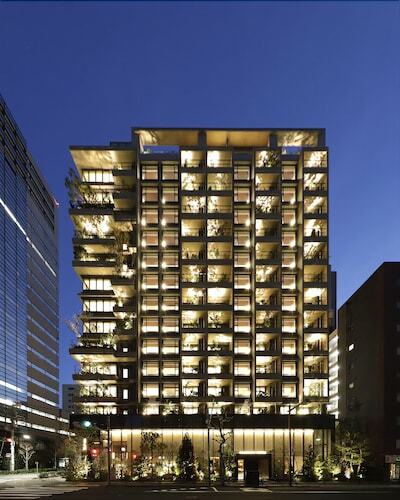 Tokyo's higher-end options such as the Andaz Tokyo Toranomon Hills - a concept by Hyatt (1-23-4 Toranomon, Minato-ku) and The Ritz-Carlton, Tokyo (Tokyo Midtown 9-7-1 Akasaka Minato-ku) are bound to please the most discerning traveller. 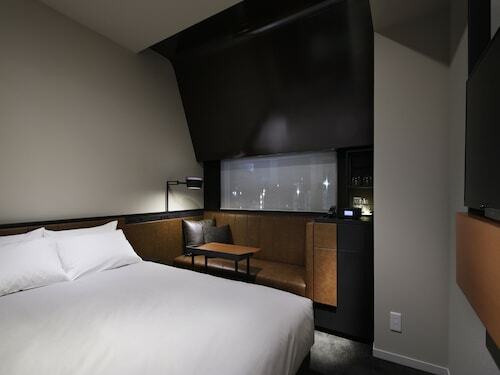 Alternatively, the Khaosan World Asakusa Ryokan (3-15-1 NishiAsakusa, Taito-ku) and the Sophiearth Hostel (1-7-26 Okubo) are a couple of accommodations worth looking into if you're travelling on a budget. If you'd rather stay closer to Tokyo Imperial Palace, The Peninsula Tokyo and the Palace Hotel Tokyo ought to tick all your boxes. Organised the plane tickets for your trip to Tokyo yet? When you arrive, get ready to walk out into Haneda Airport (HND). It's 9 miles (14 km) from the terminal to the heart of town. Discover cutting-edge installations and diverse collections within this esteemed contemporary art gallery located in the alluring Edo-era district of Koto. This site was first a shogun residence, then the home for Japan’s emperor. Destroyed in World War II, it was reconstructed to its original splendor. One of the world’s largest fish and produce markets offers visitors a unique shopping experience and several good restaurants. Appearing as if a Paris landmark has been teleported to Tokyo, this Eiffel-inspired structure offers great daytime or evening 360-degree views of the city. Marvel at the views from the top of the tallest self-supporting tower in the world then enjoy the shops, restaurants, aquarium and planetarium at its base. Tokyo’s oldest temple was built centuries ago to honor the goddess of mercy. It now draws thousands daily for Buddhist prayer or cultural observation. The largest museum in Japan preserves artworks and antiquities revealing Japan’s unique culture and way of life. A shrine in central Tokyo honors those who died in nearly a century of wars while the adjacent museum documents Japan’s military history. Walk this suspension bridge for views of Tokyo’s skyline or see its rainbow lights from waterfront, monorail, boat cruise or restaurant vantage points. 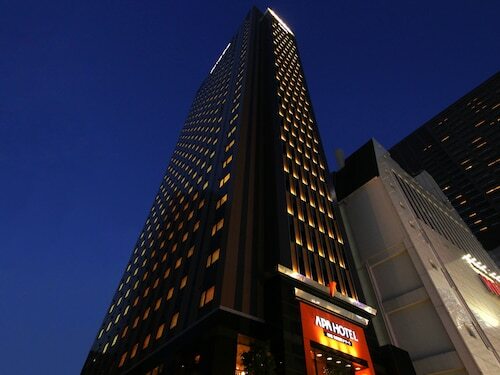 Located in Chuo, this hotel is within 1 mi (2 km) of Tokyo Stock Exchange and Ryogoku Kokugikan. Akihabara Electric Town and Marunouchi Building are also within 2 miles (3 km). Suitengumae Station is 7 minutes by foot and Hamacho Station is 8 minutes. 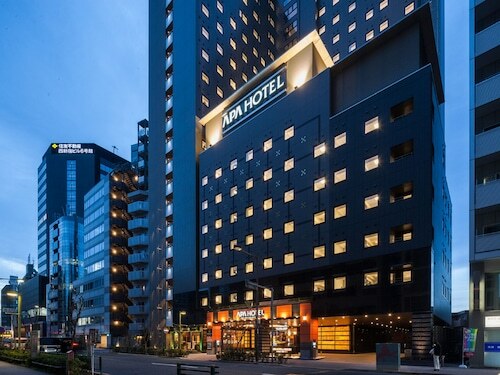 Located in Shinjuku, this hotel is 1.5 mi (2.5 km) from Meiji Jingu Shrine, and within 6 mi (10 km) of Tokyo Metropolitan Government Building and Tokyo Imperial Palace. Tokyo Midtown and Tokyo Tower are also within 9 mi (15 km). Nishi-shinjuku-gochome Station is only a 2-minute walk and Tochomae Station is 13 minutes. 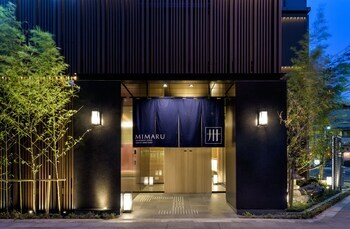 Located in Shinjuku, this hotel is within a 5-minute walk of Samurai Museum and Shinjuku Golden Gai. 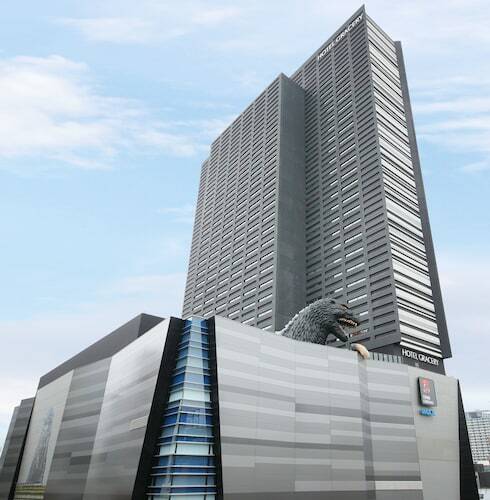 VR Zone Shinjuku and Isetan Department Store Shinjuku are also within 10 minutes. Higashi-shinjuku Station is 6 minutes by foot and Tokyo Seibu-Shinjuku Station is 9 minutes. 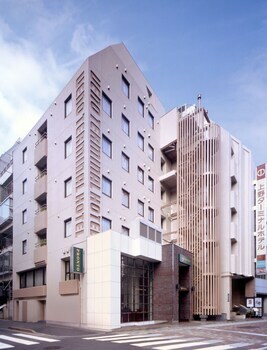 Located in Shinjuku, this hotel is within a 5-minute walk of Robot Restaurant and Golden Gai. Shinjuku Gyoen National Garden and Tokyo Metropolitan Government Building are also within 1 mile (2 km). Shinjuku-nishiguchi Station and Tokyo Seibu-Shinjuku Station are within a 5-minute walk. 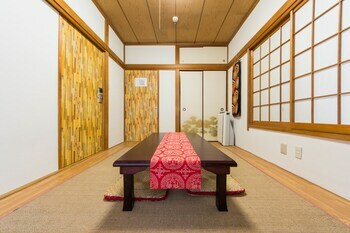 Located in Shinjuku, this hotel is within a 10-minute walk of Shinjuku Golden Gai and Omoide Yokocho. Shinjuku Gyoen National Garden and Meiji Jingu Shrine are also within 3 mi (5 km). Tokyo Seibu-Shinjuku Station is only a 4-minute walk and Shinjuku-nishiguchi Station is 7 minutes. 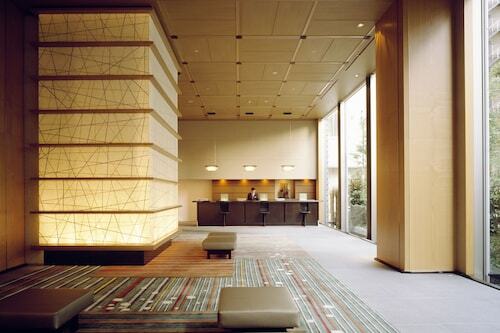 Located in Chiyoda, this hotel is within a 15-minute walk of Koishikawa Botanical Garden and Tokyo Dome. Imperial Palace Garden and Yasukuni Shrine are also within 1 mi (2 km). Suidobashi Station and Tokyo Suidobashi Station are within a 5-minute walk. 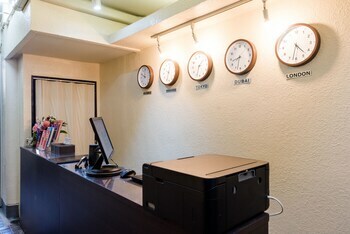 Located in Shinjuku, this hotel is within a 10-minute walk of Shinjuku Gyoen National Garden, Shinjuku Isetan and Golden Gai. Robot Restaurant and Samurai Museum are also within 15 minutes. Shinjuku-gyoemmae Station is only a 2-minute walk and Shinjuku-sanchome Station is 4 minutes. 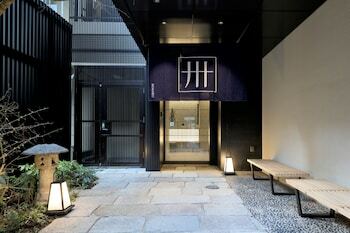 Located in Shiodome, this spa hotel is within a 15-minute walk of Ginza Six and Ginza Graphic Gallery. 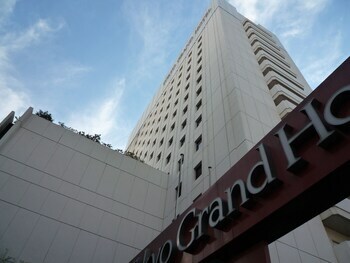 Ginza Wako Building and Kabuki-za Theatre are also within 1 mi (2 km). Shiodome Station and Tokyo Shiodome Station are within a 2-minute walk.